1. Cheap flights Hong Kong - Jakarta: start at MYR 415. 2. Cheap flights Macau - Jakarta: start at MYR 461. Looking for a cheap flight from Guangzhou to Jakarta (CAN-JKTA)? Flights fares for Guangzhou to Jakarta start at MYR 348.00. Find the best and cheapest flights on this route and other relevant information. Before you book a flight you can use Utiket to find the cheapest flights from Guangzhou to Jakarta for Lion Air, Garuda Indonesia, China Southern Airlines, Batik Air, China Eastern Airlines, Wings Air. All flight data are real-time and accurate. Utiket finds all the cheapest flights from Guangzhou to Jakarta. On average the flight time between Guangzhou and Jakarta is about 3 hr 35 min. Be aware there is a time difference of 1 hours: The time in Jakarta is 1 hour earlier than the time in Guangzhou. The timezone for Guangzhou is: UTC +08:00. The local time now: 22:35:01. 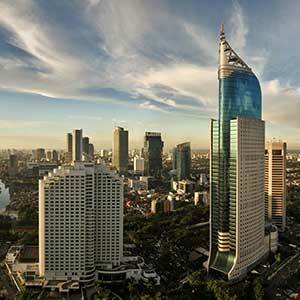 For Jakarta the timezone is: UTC +07:00 and the local time now: 21:35:01. There are 2 airlines flying from Guangzhou to Jakarta. Weekly there are 21 flights between Guangzhou to Jakarta. The earliest flight from Guangzhou to Jakarta is at 08:25. The latest flight is at 17:20. The cheapest price for flight from Guangzhou Jakarta is MYR 348.00. The Baiyun International airport of Guangzhou is China's second busiest with over 40 million passengers a year. The airport serves the city of Guangzhou and the province Guangdong, formerly known as Canton, and is a major hub to other destinations in China. 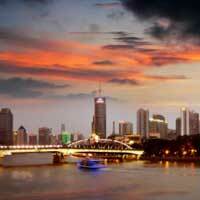 Find cheap flights to Guangzhou or read more about Guangzhou Baiyun International Airport. Which airlines have direct flights between Guangzhou - Jakarta?